Yesterday I got a call on my mobile phone from a good friend Ceinwen. She is one of those people that is good at everything. It almost makes you jealous. She is 39 years old, smart, career minded, hard working and not surprisingly got snapped up by one of Australia’s Top 4 Accounting firms. As part of her professional development program, they paid for her to go to a one week “intensive” Leadership Executive Management program run by Harvard University. 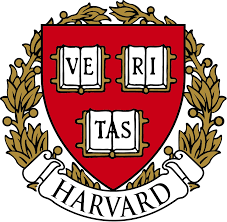 Harvard is located in Boston, Massachusetts in the United States. It is beautiful. It is old. It is steeped in history as a University. It has a reputation as one of the world’s best education institutions globally. And it is very well deserved. So what did Ceiwen learn at Harvard? I’ve always prided myself on reading up-to-date information on management and leadership trends. I saw Ceinwen’s name come up on the mobile phone. I’d been following her trip on Facebook. It didn’t seem like she slept much! I was dying to find out what she learnt at Harvard. It was a dream of mine to go there one day. She explained there were 120 high calibre professionals from around the world in the Harvard program. It was a 7-day immersion into word’s best practice in leadership and management. It was theory and practice using real case studies predominantly. It was delivered by some of the best thinkers in the world. So of course I asked Ceinwen, “What did you learn”? Her response was “Everything” …. “Josh it was incredible”. Getting impatient, I asked “Yeah but be more specific….what was the best thing you learnt”? She explained to me they started their learning journey at 5pm on a Sunday after flying in from all parts of the world. They stayed in dorms on campus. The Harvard Professor that spoke first introduced the Harvard Executive Leadership program to them. The entire 120 people were clearly all high achieving people on the professional fast track. (Call it Type A personality). Quite frankly, they wouldn’t have been selected by their companies to attend otherwise. The Professor suggested to them an interesting phenomenon he had witnessed over the years teaching such groups. In becoming a Type A personality, he had observed an unhealthy tendency to focus on the future, to the detriment of the present. He suggested the trick to staying “present” had its clue in the meaning of the word. Present means gift. He suggested it was a gift to be present in one’s own life. High achieving people can often forget such a basic rule. “Welcome to Harvard. The first thing I want you to learn from us is to be present in your own life.” (said the Harvard Professor). Footnote: If you are curious why I included a Proctor and Gamble sponsored video of the Winter Olympics, it illustrates the significance of what appears to be ‘trivial’ moments in life. Being aware and present in these moments is probably what makes winning a gold medal, or even getting to the Olympics so precious. If you are inspired to shift gears in your work life, check out Monarch’s New Small Business Course.